Call Right Now For Your Free Instant Quote! If you ask most people, they would probably say that the bathroom is their least favorite place to clean. Who wouldn't agree with that? When people know they have to clean the bathroom, they have to mentality prepared themselves for what they might find. It's unappealing on so many levels, so why even deal with it? We have professionals that clean bathrooms non-stop. They are the best of the best, and treat every bathroom as if it's their own. Once you see the cleaning care that has been done on your bathroom, you will never want to clean again. You can be sure that our professionals know what they are doing. You will feel a weight lifted off of your shoulders because it's just one less task that you have to deal with. No more disgusting looks on your face or foul smells that you find unappealing. 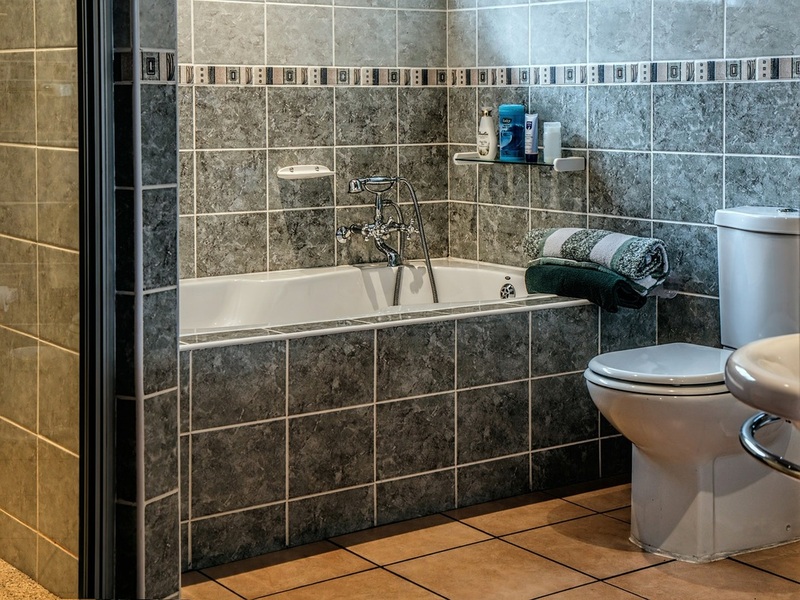 The restroom is one of the most commonly used areas and also most prone to infections and germs. Janitorial services focus primarily on this area of any business, whether it is house or office. Restrooms are usually near the front entrance, on every floor, in the CEO’s office, and so many more areas. This signifies more about the importance of why restroom cleaning should be a top priority. An unclean restroom can give out a bad impressions about the company to any visitor, and important clients. These areas see a high volume of individuals that make their way through. When the cleaning process of the restrooms start, it is essential to wear protective gear to make sure the working process is safe and effective for the cleaners. If you’re unsure what protective gear you can use, then check the Safety Data Sheet (SDS) of your distributor for more information. If the correct gear is not used by the janitorial staff, it can lead to them getting sick or injured by the large amount of bacteria that is present. When the cleaning staff is working on ensuring the restrooms are cleaned properly, it is important to make sure employees and visitors are aware. By letting them know that a cleaning is in process, they can go about finding a different bathroom. It is equally important that the cleaning staff place wet floor signs on the ground once a thorough mopping has been done. This is to help ensure people are aware of the wet floor and help minimize any further injuries. A good janitor has a systematic process that they conduct when inspecting and detecting any problems in the bathroom areas. The toilets and urinals tend to be the dirtiest areas of the bathrooms. A good janitor will apply disinfectants and sanitize every restroom areas like toilets, urinals, faucets, and handles from top to bottom. Eco-friendly soaps and bleach will be used to properly clean the areas. Fresh urinal cakes will be switched out upon every bathroom cleaning. The elevated areas of the restroom can gather dust and particles very easily, and cleaning them can make them fall to the ground. By making sure that you clean these areas before dusting or mopping the floors will ensure proper elimination. Give special attention along the walls, inspect and restock all paper supplies like toilet cover, paper towels, and sanitary napkin bags. When all the other cleaning is done, you can pull out the trash and replace the can liners to complete the job. You can also remove any hazard and warning signs from the floor once everything is dry and clean. Restrooms are one of the most important areas of any business area. If they are smelly and dirty, then the janitor is using the wrong supplies and failing to properly execute the process. We want to ensure that you no longer have to deal with these time consuming activities. You can now feel like your schedule has opened up to normal business activities, and you can rearrange your priorities better. No more expensive maid service that you can't trust. Our certified cleaners provide the best service at the most competitive prices around. Whether you are looking for you residential home's bathrooms to be cleaned every so often or your business/office needs proper cleaning, give us a call to take care of it for you! We have flexible schedules that provide all the services you need at the perfect time that you need it done. No more waiting around days or weeks for cleaning services to "fit you into their schedule." Call Us Right Now For Your Free Instant Quote!